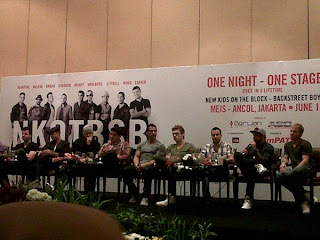 NKOTBSB did a press conference in Jakarta. The following are links to articles that have been web-translated from Indonesian. Here is the Itinerary for the New Kids on the Block Cruise 2012! Before leaving for Half Moon Cay, make sure to bring the following with you. Your Sail and Sign Card, a Photo ID, plenty of sunscreen, a towel, hat, sunglasses and your NKOTB water bottle you received in your gift bag. Make sure to fill it before leaving your cabin. It'll be hot so stay hydrated. 10:00AM: Orange Wristbands meet in Galaxy Restaurant. All other wristband colors, times and locations will be announced onboard. You are welcome to eat or wait on Lido until your wristband color is called. 11:30AM - 3:30PM Lunch is served at Half Moon Cay. You will be able to purchase soda and alcoholic beverages via your sail and sign card. Don't forget to bring your picture ID, Sail and Sign Card and plenty of sun screen. 12:30PM Ship Faced Concert on Half Moon Cay Beach. Guests with priority seating, Silver Gold, Pink and Cabana wristbands, will be admitted to a reserved section. All other guests will have standing room general admission. We'll be Dancing for the Cure tonight, we encourage you to think Pink when dressing comfy and cuddly this evening. Donations to benefit Remember Betty/Susan G. Komen will be accepted in the Formality Shop (minimum $10 donation suggested). The 90 Selected Players Names will be posted in the casino and the hospitality desk in the Downbeat Lounge Deck 5. 10:00AM: Photo Session Group A(minimum groups of 10) Criterion Lounge. 3:00PM: Photo Session Group B (minimum groups of 10) Criterion Lounge. All guests are required to check in with Customs for a Visual Immigrations Check. You must bring your sail and sign card along with your proof of citizenship (Passport or Birth Certificate) and a photo ID. You will receive a letter in your cabin directing you where and when to go for your Visual Immigrations check. You cannot debark into Key West until you complete this check. NKOTBSB did a press conference in Jakarta today. The Backstreet Boys shared a video clip on their Twitter page... Click here to watch! At the recording studio today doing something a little out of the ordinary.... can't wait for you to see what I'm up to!!! Jonathan climbed to the top of the Sydney bridge! Danny is still getting his HIIT workouts in:) Here is a photo he shared while in Sydney. 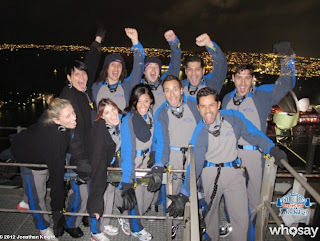 Jonathan and Joey tweeted some images and video from their night off in Sydney! Photos from the Brisbane after party have been posted. Jordan, Donnie and Joey were at a recent Jabbawockeez show at Jupiters Gold Coast in Australia. Donnie Wahlberg was on "The Circle" with James Young this morning in Australia. I don't know if the video is available online or not because I can't get their video player to work on my computer, but maybe it will work for you. Click here and let me know if you can find Donnie. Naughty By Nature member KayGee tweeted that Naughty By Nature will be on the 2012 NKOTB cruise! Backstreet's back. But is that alright? 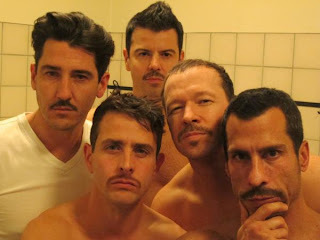 PS: Ever wondered with the NKOTB members look like with mustaches? 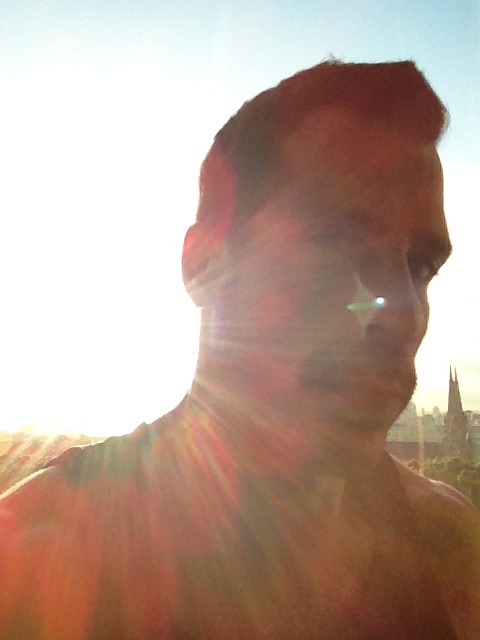 Photo from @donniewahlberg on May 21, 2012. Here are the details about the after parties in Brisbane, Sydney, and Perth. This video a few days old, but I thought it was a good one. NKOTBSB celebrated Danny Wood's birthday at their concert in Oslo, Norway on May 14. The audience joined them in singing Happy Birthday and then the audience sang it Norwegian. Donnie Wahlberg to star in a new movie called "Home: The Film"
Donnie Wahlberg will be in a new movie called "Home: The Film" (also written as "Home:____")! Shooting will begin this June in Brooklyn, NY. Because the movie is an independant film, they need to raise some funds. Check out their Kickstarter Website to help with fundraising. Home is the story of a man named Jack, suffering from mental illness, whose goal is to move out of the group home where he resides and into a home of his own. By doing so he hopes to rebuild his life, reconnect with his estranged son, and put himself back on a path to "normalcy." Despite what some see as difficult subject matter (a man dealing with mental illness) Home is filled with wonderful characters, a lot of humor, strong drama, hope... and ultimately, an uplifiting ending. According to the video in this blog entry Donnie's character will be "Dundee" who is a friend of the main character Jack Hall who was diagnosed with mental illness and is now looking for a place to call home. Click here for Home: The Film's website! Here are some interview clips of Jonathan and Howie from NOVA.Click on the links below to watch! 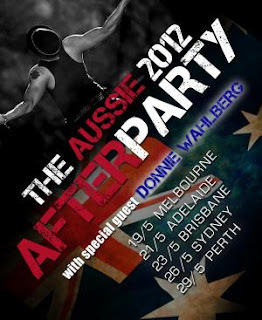 Donnie is hosting another after party! Buy tickets for the Adelaide afterparty here! Come and show D-Dub how Adelaide parties!! Here is a review of yesterday's NKOTBSB show in Melbourne from Take 40. 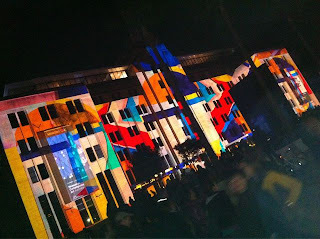 Here are their photos from the show. Last night, I stepped back in time. To a time when girls wore scrunchies, Facebook didn't exist, and boy bands in matching outfits reigned supreme. It was a time before Justin Bieber, before Lady Gaga, and even before One Direction. That's right; I'm talking about the NKOTBSB concert at Rod Laver Arena, Melbourne. A wonderful pairing of two of the biggest boy bands of all time -- New Kids On The Block and The Backstreet Boys. In the eighties and nineties, these guys elicited so many screams and crazy fans that it would make Harry Styles' hair go straight. For those who are too young to remember, here's a bit of history. More hits followed including 'I'll Be Loving You (Forever)', 'Hangin' Tough', 'Cover Girl' and 'Step By Step'. In 2010 the Backstreet Boys and New Kids On The Block joined forces to become the ultimate man boy band: NKOTBSB. As a child of the eighties and a teenager of the nineties, naturally I was super excited to be going to this concert. I'd been listening to all my old Backstreet Boys and New Kids On The Block albums in the lead up and I was ready to have a fantastic time. NKOTBSB opened the show with what I thought was an odd choice as I'd expected them to come out strong with something instantly recognisable, so a slight disappointment to start off with that was later rectified by boy band awesomeness. 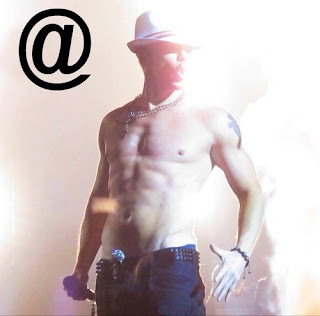 PHOTOS: Check out the pics from the NKOTBSB show! But what we got instead was the music from the Coldplay song 'Viva La Vida' with a medley of the BSB track 'The One' and NKOTB's Ne-Yo duet, 'Single'. Again with more newer material, New Kids performed 'Summertime' and at this stage I was desperate for the classics... when was I going to hear 'Step By Step'?! But to my relief I was not disappointed. The performances that followed from both bands were fantastic and just as good as if it were still the 90s. I appreciated the efforts to bring the old days back, with the matching white suits, combat outfits, the occasional flash of abs and of course the cheesy choreographed dance moves. LOVE! While all of the guys are well into their 30s and 40s, it didn't stifle their energy or stop them from putting on an amazing show and playing up to their female fans in the crowd. (All of whom had no doubt reverted to their teenage selves!). When the Backstreet Boys reminded me they'd been doing this for 19 years (which was evident when one of them made a reference to 90s RnB group Jodeci!!) I have to admit I felt a twinge of shock (when did I get so old?! ), but it didn't matter. I had Nick Carter and I had Joey McIntyre there to entertain me. I did notice that the dance moves have become dirtier than I seem to remember! So many pelvic thrusts. I'd love to be able to list what my highlights were but I've rambled for long enough and I see no point in talking about every song! It was an overall fantastic night -- fireworks, smoke machines, dirty dance moves, fan serenades, ripped shirts, matching outfits, and walks into the audience included. After thrilling fans for 2 hours, the guys came back with their encore: 'Everybody (Backstreet's Back)' and 'Hangin' Tough', and we certainly did not want to go home after that! I forgot how amazing (and cheesy) the 80s and 90s were. Bless. Review by Kate Miller, Joey McIntyre's future wife. Donnie and Jonathan from the New Kids on the Block and Nick and AJ from the Backstreet Boys made an appearance on Channel 9 in Australia. Click here to watch! or watch below. Come and show D-Dub how this town parties!! ** This venue will be open to the public at 1.30am so be sure to get there early! On Location Vacations has posted some new photos of Donnie on the set of Blue Bloods. NKOTB.com posted a new video of Joey sharing hair styling tips that he learned from Jonathan. Happy birthday to Jordan Knight who turns 42 today! Members of the New Kids on the Block and Backstreet Boys will be on Channel 9 at 9am tomorrow morning on Australia. Donnie did a quick stop in New York City today for the "upfronts" for CBS (Blue Bloods) and TNT (Boston Blue). Donnie's first stop was ringing the bell at the New York Stock Exchange this morning with his fellow Blue Bloods cast members. Click here for more photos from Getty Images! Click here to see the video of the cast ringing the bell! Donnie, Jonathan and Nick Carter are interviewed in this video from SVT (from Sweden). Here is a translated review from Dagbladet.no (you can read the original article in Norweigen here). One of many highlights in the boy band night in Oslo Spektrum. A more appropriate action to charm the core audience could hardly have been taken, now that a large percentage of them even have a small or two at home. "Gift Package for the ex-fans"
For both, both NKOTB and BSB marked his comeback in the 2000s by providing a disc of new material, but that there were supporters from the golden age in the 90s that were the target group, there was little doubt. The organizers sold even in the event as "a gift to all former boy band fans." Whether it was a real treat for anyone who is still boy band fans, was not mentioned. If there be any doubt: We are talking about women, in all overwhelming mainly. 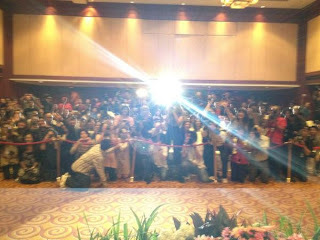 Women who ever reigned boy band pop star sky was giggling teenage girls, and this evening came to pick them up again. Some were undoubtedly present when NKOTB were on the same stage 21 (!) Years ago, but for others there has been a long wait. The enthusiasm was then, with nice clothes on and screaming young girl cries as a result of the afterparty with girlfriend gang. But how good really delivers these ancient heroes in 2012? From the beginning, when the two groups for a common opening numbers split up and for a period drove every other song, it was obvious that the pioneer boys in NKOTB was a whole different level of both singing, dancing, choreography, light shows and the use of the stage. Even the backing band sounded better with them. It was just incredibly fun to look stylish, implemented and not the least enthusiastic performances of everything from beautiful R & B ballads like "Did not I Blow Your Mind This Time" to the early electro-pop of "Step By Step" . While NKOTBs Jonathan and Joey did shine as singers, rested Backstreet Boys too much of a Nick Carter who was both unfocused and out of shape, to the extent that it sucked up all the attention. He delivered either as a singer, dancer, Showman or sexual magnet, and so basically most of all like a bit flabby, drunk guy standing on the after party and act like the party without it. When the rest of the group then just deliver acceptable, it helps, unfortunately, not all the world's super catchy hits. The composition of the U.S. giants are on paper rather ingenious. The fun navnesymbiosen, NKOTBSB, is now one thing, but not least, it is good value for money when they together cover roughly 15 years of boy band heyday. The Boston-based NKOTB broke through in 1988 with the second album "Hangin 'Tough" and the funky Prince-hit single "You Got It (The Right Stuff)", was the fact that they set the standard for every boy band that was to come. There were five singing and dancing synchronously young boys with pretty faces and ladies' man image, composed of a backer and songwriter - Maurice Starr. Starrs inspiration was his work with the black vocal group New Edition (the start of the careers of both Bobby Brown and Bell biv DeVos), but he was never satisfied with what they managed to achieve commercially. With NKOTB were the other bowls. After a fantastic year at the beginning of the nineties began, however, to go slower for Jordan, Jonathan, Joey, Danny and Donnie. The quintet broke with Starr, released a largely self-written album that was not particularly well received, and ended up going their separate ways in 1994. At that time, as far as what was to become the best selling boy band seen the light of day in Orlando, Florida. Brian, AJ, Howie, Nick and Kevin were put together to Backstreet Boys Lou Pearlman, a music interested investor who later also became the source of Justin Timberlake's boy band * NSYNC. BSB had a slow start in the home country but in Europe they quickly turned on, and it was also here debut album first came out - in 1996. Maybe it had something to do with the style of the Swedish songwriters and producers Denniz Pop, Max Martin and Kristian Lundin, who through the years to deliver here in the hit of the dancing heartthrob. It culminated with the third album "Millennium", which, with songs such as "Larger Than Life," "Show Me The Meaning Of Being Lonely" and "The One" was the best-selling album in the U.S. in the year of publication 1999. In the 2000s, however, also support the BSB to problems. AJs substance abuse led to a break between 2002 and 2004, and when the group arrived on the scene again, there were no partners from the golden age. The response was then. In the same period as the BSB picked up the thread again, started just a little boy band-revival to take its toll. British greats Take That and East 17 came together again in 2006, and heels followed the Irish Boyzone. Then, in 2008, came the trip to New Kids On The Block. The round was completed. Most of the boy band has had great success after unification. An important part of the explanation is that the old fan base has now reached an age where they both have purchasing power, are less interested in new music, and above all have distance enough to be right-hand to reminisce about the old days - and the need for the . It is also the impression one is left with after yesterday's Spektrum concert. The absurdity of screaming audience reaction was to touch and feel when four adults, normal-looking women were brought up on stage to sit on their bar stool and get a kind of musical lapdance by each Backstreet Boy. When Nick Carter stood with just the microphone between his lips and his elect, screams rang out across the concert hall. At the same time, it was very funny. And just fun was enough there it was about many of the visitors. Letting your inhibitions, to not take itself too seriously and having fun. The two bands will have to, is whether to give one hundred percent of the contact with the audience. The stage was built out of a mole to an island that was far out in the audience area, and thus gave "front row" feeling to many people. That they knew to use. The 2.5-hour concert in Oslo Spektrum showed a complex picture of boy band ståa anno 2012. The pioneers of NKOTB, who almost all have rounded the 40, showed that it is possible to have both the vitality and honor intact even if, strictly speaking, no longer classifies as "boy", and that belong to the denigrated boy band genre does not need to be nothing to be ashamed of. Backstreet Boys, however, appeared most of all a little sad bunch of half his career on the wane, which cling to the old glory days. Time to go a round with itself. Remember Betty has been chosen to be part of Susan G. Komen For The Cure's new National Team program. It acknowledges Remember Betty as one of the most dedicated groups in the continued fight against breast cancer. Blockheads have raised over $780,000 for breast cancer research and prevention since the beginning of the NKOTB reunion. "The Remember Betty phenomenon is so special to us because it is an unprecedented show of support for Komen from a very special group of people. Never has a celebrity been so personally involved and dedicated to our cause, or inspired so many people to get involved. What Danny has done in memory of his mother has undoubtedly helped us save countless lives, whether it's through the funds raised or by serving as a reminder to fans to live healthy and get screened," Carrie Glasscock, Director of Corporate Relations for Susan G. Komen explains. "I am proud beyond words to know my mother's memory has influenced so many. Everything I am and continue to be I owe to Betty Wood. She shines down on all of us everyday," says Danny. To visit the National Team page, please click HERE. Jordan did an interview with Gala.de (the original article in German can be found here). "I could have put to rest"
They were just on tour with her solo album in the U.S. and now you are back with eight other men on the stage that you have to jostle for the attention of the fans. What is more fun? A solo tour is harder. I have no great for traveling, luxury bus with as "NKOTB". The audience is smaller. There are even wonderful audience for my solo concerts, but of course I play in any arena. Just because I disagree with two mega-groups with gigantic hits the road, am attracting a lot of people. It has also made a lot of fun anyway. It was great so alone on stage, I had the feeling of having accomplished something. I hope I can play the same show in Germany and throughout Europe. Are you disappointed as a solo artist not to have as much success as "NKOTB"? Of course we all want success. But for me it's not a disappointment not to play in big arenas. Yes I have and love both. And since I do not compete with other musicians, I do it solo and certainly not with the "New Kids On The Block". Because "NKOTB" are five types, with five different personalities and talents. And these five types together such a great attraction that it is really difficult to have claimed to be against them. I like to compete against myself. If I am better than yesterday, this is a great achievement for me. It gives me self-esteem and makes me proud. I think I have matured and can be heard. I was able to release this album better, trust my instincts and my creativity. And besides, I'm just a singer become better. What time and again, the lyrics about love and "Girls" are, as in "NKOTB". Is the girl, which you sing your wife? Let me look. (Jordan Knight, the CD picks it up and going again through all the tracks. Since the album in America was published in the previous year had forgiven him, that he can not remember exactly at the track list), some are truly from my wife . I can not say in a rush for sure. No, but if you write music, it's a lot of imagination, some things are stories from real life and sometimes there are stories from the past. When you sing solo stuff, it is of course on a more personal level than in the group. "Rock Star" is definitely a song about the fans. "O-Face" is about my wife, but has been inspired by the fans. "Kiss It Away" is about a past relationship. They have been married for eight years and a father. Does your son really cool twelve years, what his dad does for a living? Yes, still. I think once he is 13 he thinks it's uncool. (Laughs) No, that was fun. He has even sung just for a play at his school and wanted me to give him some tips. He admires and respects what I do. And what Jordan Knights son admired him, is also in Hamburg before 8000 fans - mostly women - a big spectacle. "New Kids On The Block" and "Backstreet Boys" stand up on the show opener and burst into song at the end always turns on the stage. They perform all their hits from the respective peak periods of the bands, just as we wrote in 1994. Today's 32 - to 43-year-olds trying to be sexual innuendo with lascivious Hüftschwüngen. And the "Backstreet Boys" get even four women from the audience onto the stage. In one form or another Bezirzten Tears flow at near enough to the star. Quite so romantic it is, at least for the lady who had chosen not AJ McLean - they had him on his pants open house to draw attention. Even a "Backstreet Boy" just in some situations, only a man of middle age. The concert is still a fun two hours, after which most of the women present were able to safely go without heartache home to her husband and children. Good thing the teenage years are over. Here is an interview with Jonathan and AJ in Germany. They talk about their experience in Germany, the timing of the NKOTB reunion, AJ talks about when Backstreet Boys had no management and how being a father-to-be has changed his life. Also, an interuption of the interview turns into a surprise backstage performance by Neverest. 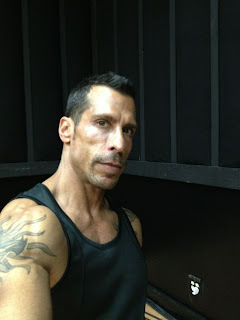 Happy birthday to Danny Wood who turns 43 today! TNT has ordered an unscripted series from Donnie Wahlberg! Here is the article from The Hollywood Reporter. Police docudrama "Boston Blue" and adventure series "72 Hours" join the network's first reality competition series "The Great Escape" on the lineup. TNT is expanding its foothold in the unscripted genre. The cable network gave series orders Friday to reality projects from Blue Bloods' Donnie Wahlberg and the executive producer of Extreme Makeover and The Moment of Truth. 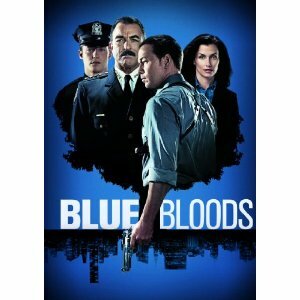 The first, Boston Blue (working title), hails from Blue Bloods' Wahlberg and is described as a procedural docudrama following the men and women of the Boston Police Department's Gang Unit. Jarrett Creative Group (Celebrity Ghost Stories), Julie Insogna-Jarrett and Seth Jarrett will executive produce alongside Wahlberg and his Donnie D. Productions. Boston, which will consist of eight episodes, will launch next year on TNT. The second, 72 Hours, is an adventure series in which competing teams are dropped from a helicopter into the wilderness and given three days and a GPS to find a hidden suitcase full of cash as they battle the elements and rival teams to take home the prize. The eight-episode series hails from Lighthearted Entertainment (Extreme Makeover), with Howard Schultz (Extreme Makeover, The Moment of Truth) and Rob LaPlante (The Apprentice) on board as exec producers. Jeff Spangler (The Moment of Truth) will co-exec produce the series, which will launch next year. "Boston Blue and 72 Hours are excellent fits for two of TNT's most important audience segments," said Michael Wright, president and head of programming for TNT, TBS and Turner Classic Movies. "With Boston Blue, we're looking to grab viewers who come to TNT for such blockbuster originals as The Closer and Rizzoli & Isles. And with 72 Hours, we're going after fans of TNT's action-packed dramas like Falling Skies and Leverage." The projects join The Great Escape, TNT's first reality competition series, as the network continues to bolster its original series offerings and shift to a year-round model. Blue and Hours join recently greenlighted scripted series including David E. Kelley's Monday Mornings at the Turner-owned cabler. Donnie was in the Ralphie radio show yesterday to talk about the Mixtape Festival and more. In case you missed it, NKOTB.com has another behind the scenes video of Danny giving a tour of their dressing room below the stage. Vote for NKOTB in Z100's Boy Band Awards. CBS has a Blue Bloods trivia game on their website. Here is an article about a Groupon special for the MixTape Music Festival that NKOTB will be at. Bridget Moynahan has some nice things to say about Donnie in this article from the Boston Globe. Here is a segment about NKOTBSB from the Voor De Show (Belgium) in which Jordan and Brian are interviewed. Donnie talks to Irish Central about his Irish roots, coming to Ireland with NKOTB, and more. Donnie Wahlberg, boy band veteran from New Kids on the Block and sought after actor – he’s currently appearing in the CBS Friday night drama Blue Bloods with Tom Selleck – recently played shows in Dublin and Belfast with the reformed NKOTB, and he told Irish network RTE that he’s amazed the group didn’t play Ireland during the height of their fame in the 1980s. Wahlberg, hardly a kid anymore at the age of 42, remembers lots of Irish flocking to his native Dorchester in Boston during the time. “(The band) was reminiscing about the old days of New Kids and how we never came to Ireland, and how stunned we were that we never did it,” Wahlberg said. NKOTB eventually broke up but reformed a few years back. Ireland finally made it on their schedule in 2009, and it went so well that 2012 bookings were a no-brainer. “It’s wonderful to be back,” said Wahlberg, who also spoke about his mother’s Irish roots – her maiden name was Donnelly. “My dad is Swedish, but we always sort of stayed with the Irish side,” said Wahlberg, who’s also the big brother of former rapper turned Oscar nominated actor and producer Mark Wahlberg. Any advice for current heartthrobs One Direction and its Irish dreamboat Niall Horan? Wahlberg has no pearls of wisdom other than to enjoy the moment. “When (NKOTB) were kids I didn’t’ really want to listen to what anyone else had to say. It was my journey and we were going to enjoy it the way we were meant to enjoy it,” says Wahlberg. Here is an interview with Jonathan and AJ backstage in Rotterdam. Check out all the on-sale dates and times for the NKOTB shows in South America and Mexico this June at NKOTB.com! Danny Wood and Howie Dorough were interviewed backstage at the O2 arena. They chat about the NKOTBSB European tour, the groups' smelly habits, tanning and rituals before their NKOTBSB show. Here is an nice review of Blue Bloods season 2 so far from CBS. NKOTB.com put up a new video of the guys backstage getting ready for the show in Belfast. Click here to watch! (You have to be a member of Block Nation to view). *There will be a Block Nation presale for these dates. Details to come shortly. According to this article from Peru.com, the New Kids on the Block are coming to Lima, Peru on June 22!